The African proverb “ubuntu (uu-boon-tuu, Nguni-Bantu),” meaning humanity towards others, serves as the cornerstone for Tijay Mohammed’s residency project, Ubuntu – I Am Because We Are. 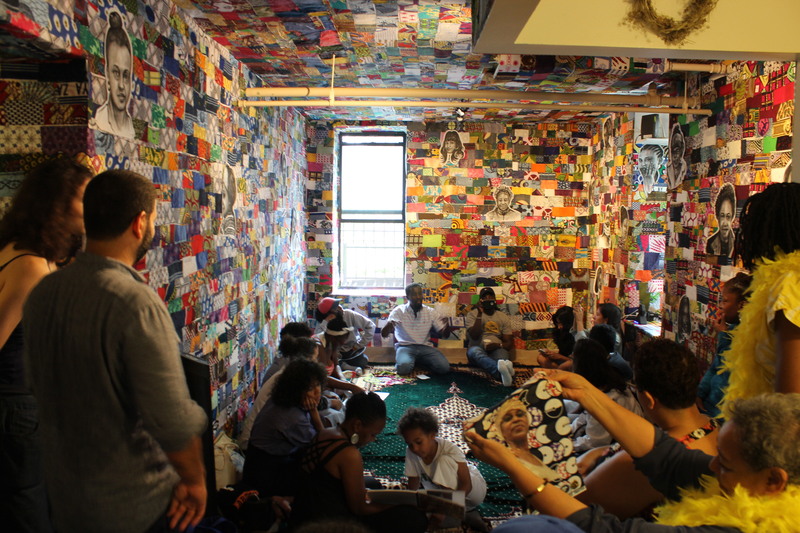 Anchored in West African culture and traditions, the project will focus attention on the South Bronx’s connection to migration and create a gathering space to celebrate women, particularly those living within the community. Primarily using African wax fabric and incorporating other assorted materials and objects, participants will create mixed-media portraits in tribute to loved ones, neighbors and other women in their lives. Stories will be shared during the process and captured through audio and visual documentation, which will accompany the portraits. Born in Kintampo,Ghana and having studied at Ghanatta College of Art in Accra, Tijay’s work has been exhibited globally including the Longwood Art Gallery, Green Drake Art Gallery, Lincoln Medical Center, The National Museum of Ghana and Ravel D’Art in Cote d’Ivore. He has facilitated workshops for numerous communities and institutions such as the Studio Museum in Harlem, Wallach Art Gallery and the University of Ghana’s Performance Art center. Tijay has previously collaborated with Global Penn State, Resource Development (Bronx NY), Global Crit Clinic, the Harmattan Artist-in-Residency in Nigeria and was a finalist for the Spanish Embassy Artist Award in Ghana. He currently lives and works in the Bronx.